 The Orion Skyquest telescope renders crisp images of the moon and of the planets.  Both affordable and good quality. 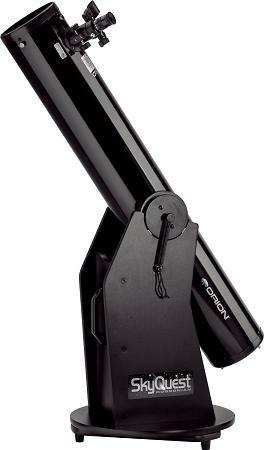 The Orion XT6 telescope is one of the most affordable, quality telescopes that you can find in the market. Astronomy magazine even called it “an excellent entry-level telescope.” The telescope is truly great value for money considering the fact that it has very high quality optics. It is a Dobsonian reflector telescope with a 6" diameter aperture and a parabolic mirror meaning that it renders crisp images of the moon, of the cloud belts of Jupiter and of the rings of Saturn. The telescope is equally excellent when it comes to deep-sky viewing. You can use it to observe star clusters, nebulas or galaxies. The telescope comes with a Dobsonian mount which makes it very stabe. It moves smoothly without vibrating which makes tracking objects in the sky very easy. Another aspect of the telescope that we like is that unlike other telescopes it is easy to use, which makes it a very good beginner telescope. It takes half an hour to an hour to assemble. The instruction manual is easy to follow. The telescope has a simple navigation and there is no need to polar align. You won't spend hours trying to figure out how the telescope works! We recommend that you use the telescope along with a good astronomy book or a sky atlas so that you know where and what to look. 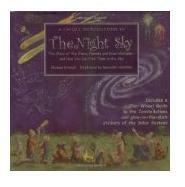 One astronomy book for children that we recommend is Introduction to the Night Sky. It is full of nice illustrations and easy for kids to read. There are many astronomy books that are specifically designed for kids. There are also software planetariums (CD-ROMS) that you can get before going on observing the night sky. Looking at the night sky with a telescope can become a truly fascinating experience for a child. This telescope can help both children and adults gain an interest in astronomy and everything related to science.